Some ideas are just too fun! And I don't care if I loose track of some eggs, because the fun had will be well worth dealing with the strays later on. 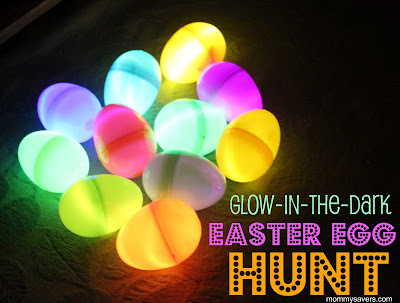 Glow-in-the-Dark Easter egg hunt! An awesome idea for a lasting Easter memory! Win $100 Visa Giftcard - Photo Contest!